I know, I’ve been neglecting this blog for a few months now. But as we all say, better late than never! 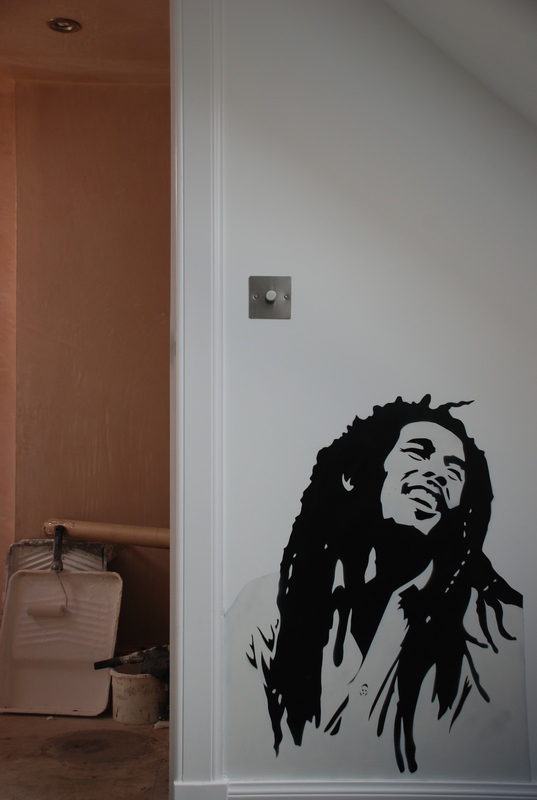 Here’s a couple of pictures of a private commission for a kids play room and a Bob Marley stencil (for the teenagers room), drawn and hand cut by myself (as all of the stencils I make are!). 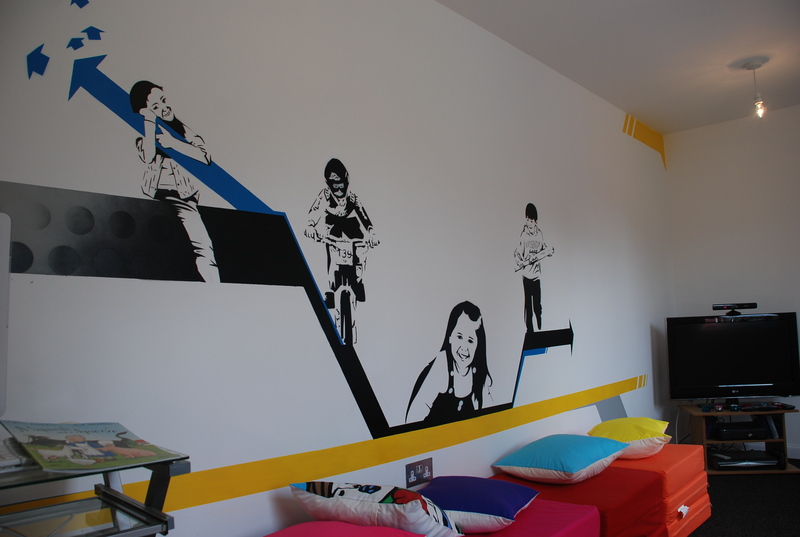 I did this just before the summer for a lovely family, not far from Dundee, Scotland. 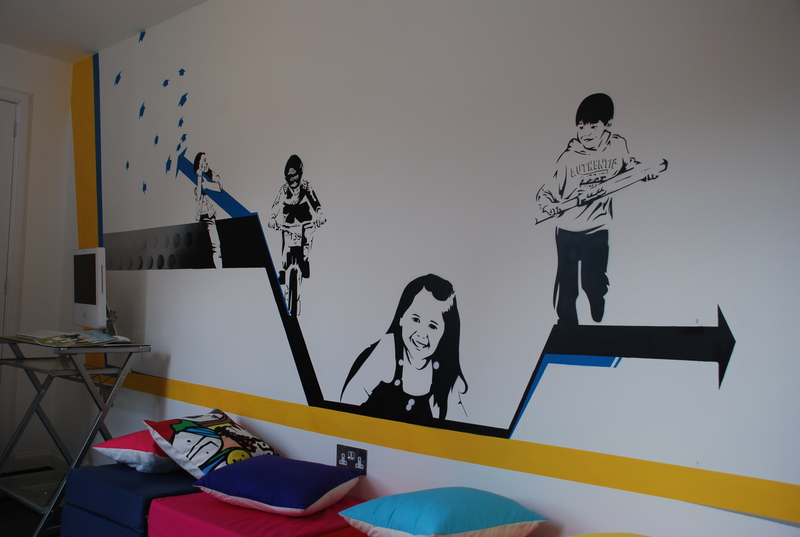 This entry was posted in Murals and tagged bedroom, bob marley, children's room, commission, graffiti art, mural, portrait, stencils. Bookmark the permalink.